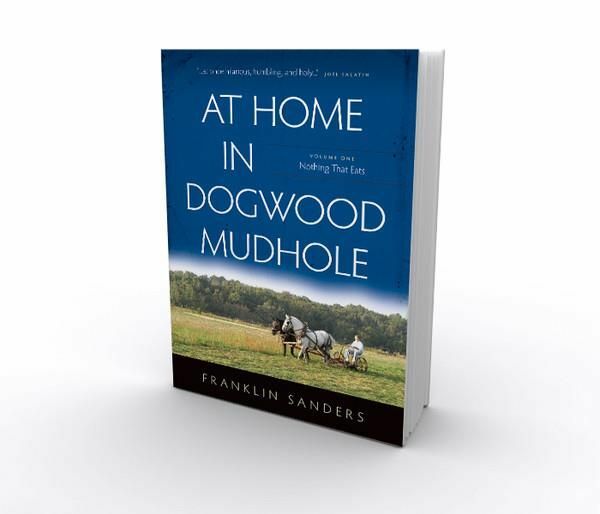 Franklin Sanders shares in Volume One of At Home In Dogwood Mudhole, Nothing That Eats about his journey toward a more self-sufficient way of life. Sanders shares from his articles written for his Moneychanger newsletter. This is a newsletter written, by him, each month for seventeen years to his faithful readers! He shares the joys and pains of everyday life in a humorous and down to earth fashion. This particular book begins in June of 1995 and shares his family's journey through September 2002. An interesting fact about this time frame, is that in the middle, were the fears of what would happen when Y2K hit. Sanders shares his perspective and how they prepared. I know for me, at that point in time, I was oblivious to the concerns and possible catastrophic events that could have followed. Sure I knew about the possibilities of the computers crashing, but I was a college student, doing my own thing. Honestly, I could have cared less. Yet now that I have woken up to reality, not only with the recent recession but also now that I am raising a family, my mindset about the way life should be lived has drastically changed. And because of this new thought process, I had a feeling I was really going to enjoy this book. I was right. It's funny, because I thought after reading the first section of the book that I had absolutely nothing in common with the author. He is a Southerner. I am a Yankee, (my accent exposes that quite quickly down south where I live!) He goes to an Episcopalian church, I attend a Pentecostal one. He enjoys war re-enactments, I could care less. But, that being said, I could totally connect to the author. 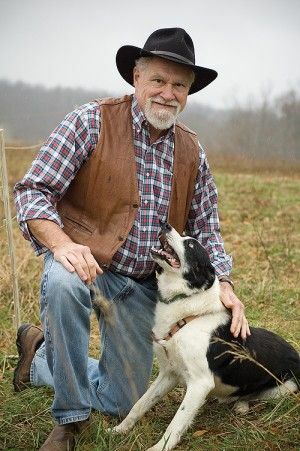 As I would read about his venture in obtaining chickens, I would be sighing, saying, "yes, someone who has been there, someone who understands." When he made a comment like, we bought some guinea hens to take care of the ticks in my backyard, I was laughing as I heard my guinea chicks in the basement that we bought for the same reason. I smiled when I read that his son woke up at 4:30 in the morning to go to a chicken slaughter. Ironically enough, my husband and two young boys were heading out the next morning, at exactly 4:30am to go to a friend's house to help him slaughter chickens. I also laughed because this was never the norm for me. I didn't grow up on a farm. This whole experience is very new, which means this book has come at a perfect time. Still in our beginning stages of learning to farm, this book has been encouraging. I think that this is exactly what will happen if things really do continue to go downhill in this country, that the people that we connect with aren't the ones that we would expect to. Denomination shouldn't matter now, but it certainly won't then, personal opinions and hobbies won't be important. Surviving, or should I say, thriving in survival, will be what draws us together. How we can help one another and learn from each other. I'm not a prepper by any means. But what I do feel is important is gaining the skills lost by our forefathers, by the pioneers. Did you know this summer I used a sickle to "weed eat" around my gardens so I could get to them. That's right no lawn mower. Now, Sanders uses work horses on his property, we are currently using goats, requires a lot less maintenance than horses do! We've lost some animals and we've failed in some ventures. Seeing a stillborn animal on your farm is sad in and of itself, but even harder when you were depending on it for food. Sanders story helped to encourage me to keep on going and keep trying and not give up! He shared about stillborn piglets and it just reminded me that these things happen, it's a part of farming, it's a part of life. Whether you've farmed all your life, are just getting started or simply appreciate the life of a farmer, then you will love this book!